Sejal Shah (www.sejal-shah.com) is a writer and longtime teacher of writing. Her essays and stories appear in Brevity, Conjunctions, the Kenyon Review, The Rumpus, and several anthologies. Sejal holds a BA from Wellesley College and an MFA from the University of Massachusetts at Amherst. A former assistant professor of English at Marymount Manhattan College in New York City, she has also taught creative writing at Mount Holyoke College and the University of Rochester. 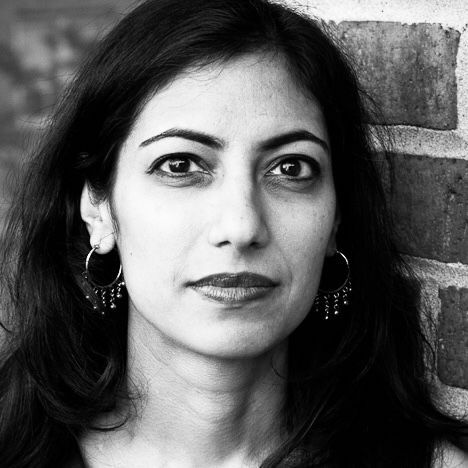 Sejal has been awarded residencies and fellowships from Blue Mountain Center, Kundiman, The Millay Colony, New York University, and she is a 2018 New York Foundation for the Arts Fellow in fiction. Her teaching is informed by the belief that we all have important stories and creating space for these stories through writing and mindfulness exercises is a life-changing practice and journey.